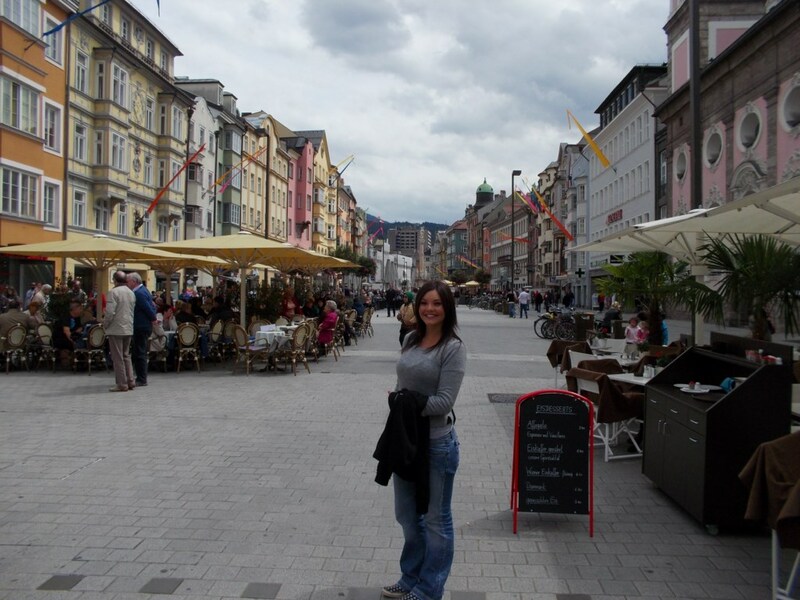 Day 113…Innsbruck- Back in the mountains! 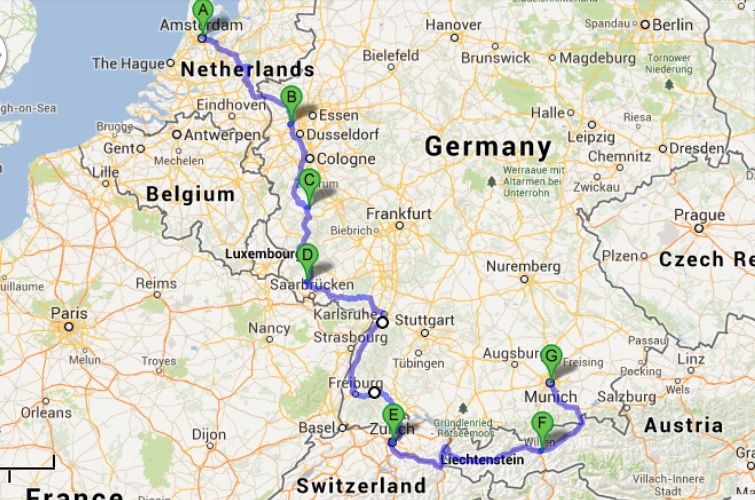 Our route over the last few days. We left Amsterdam cold and wet. The weather has been quite poor for sight-seeing so we where keen to get going again and head south towards better weather and at this stage a little bit of sun. 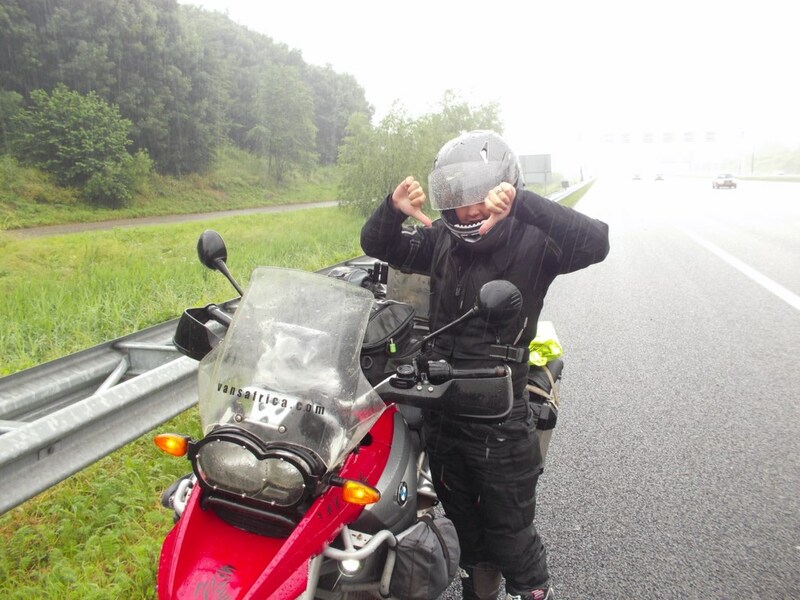 Heading down towards the German border was a wet affair and we had the rain gear on and off, battling through the cold and wet countryside of the Netherlands. Deidre showing her approval of the fantastic weather! But on we went and saw the sign for Krefeld. We decided to stop for lunch at a small German restaurant instead of ransacking somebody’s fridge. We found one and were immediately helped with a friendly german smile and hot coffee. After we ordered the owner came out and introduced herself and asked where we were from and where so impressed that she told us that lunch was on the house! 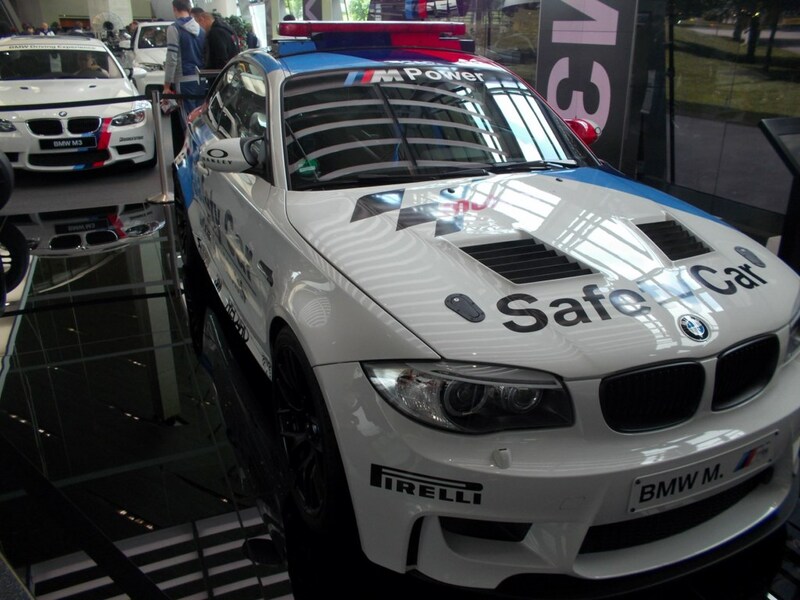 How is that for a welcome in Germany!? So with our tanks filled up we headed of to find Dave and Jan.
Dave was hanging out with a friend and fellow biker Jan. He had some problems with the bike and got Jan to fix it for him. 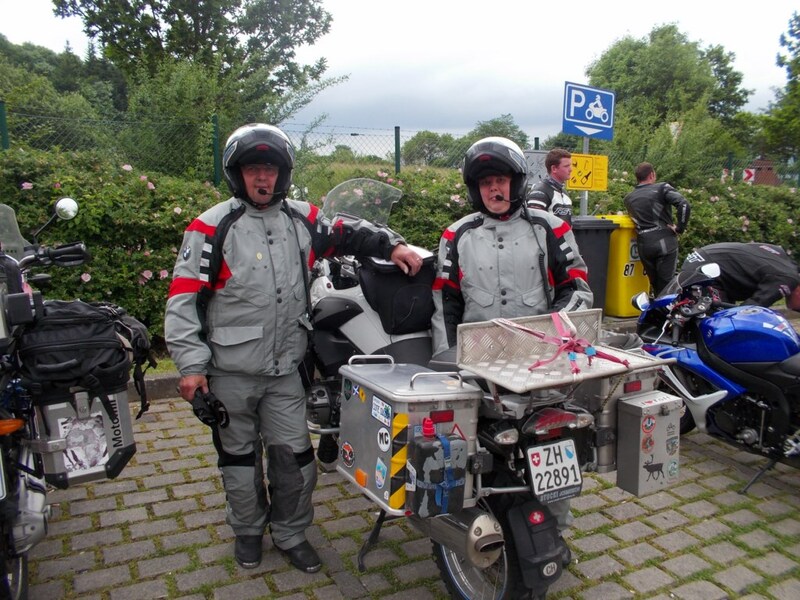 So we took the krefeld ausfahrt (exit) and met up with Jan and Dave. 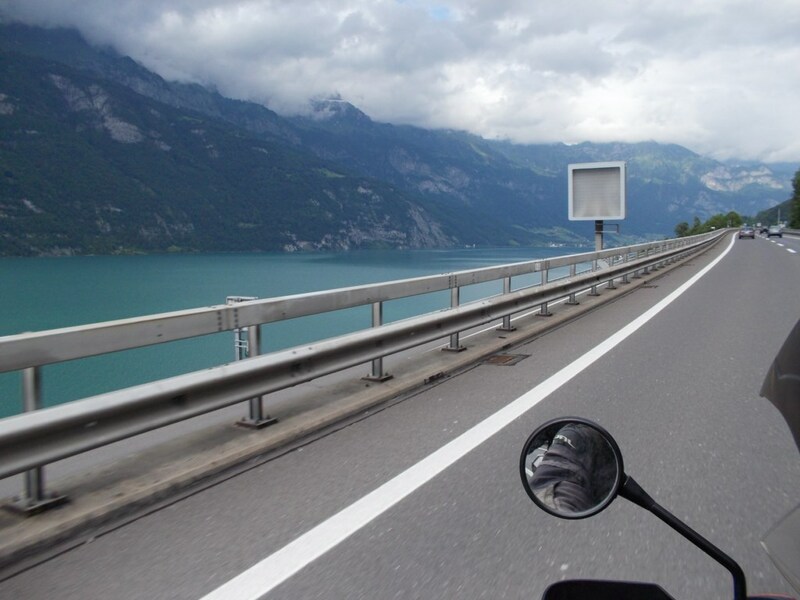 Jan is a fantastic guy, he has done a 20 month ’round the world’ trip so he knew what it took and also knew that a biker will take a free nights accommodation and beer without blinking! Dave on the other hand is an Aussie… enough said about that! Jan our host. Also making sure the bike had a warm place to sleep for the night. We were treated to a fantastic dinner and watched some of Jans movies from his East Africa section. We also exchanged stories and I got some valuable tips from Jan and Dave. 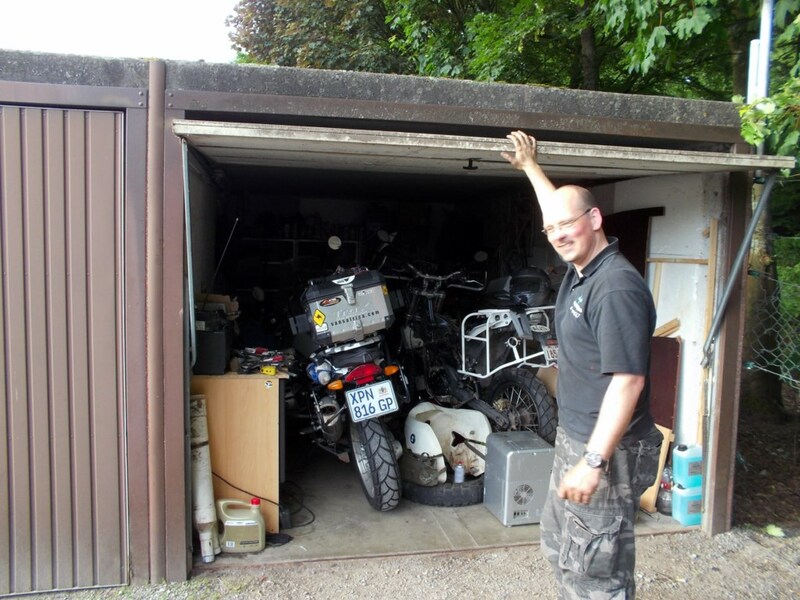 I must say that it was fantastic meeting up with Dave who is also a very experienced “world bike traveller”. 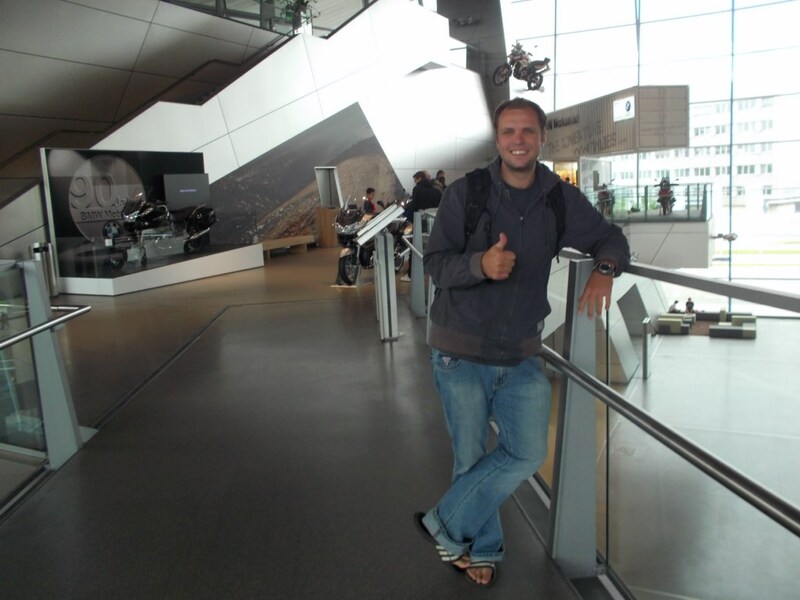 He has done over 150 000km around different parts of the world and always had good advice to give… even though he is an Aussie. The next morning we said our goodbyes and Deidre and I headed south. Destination unknown. 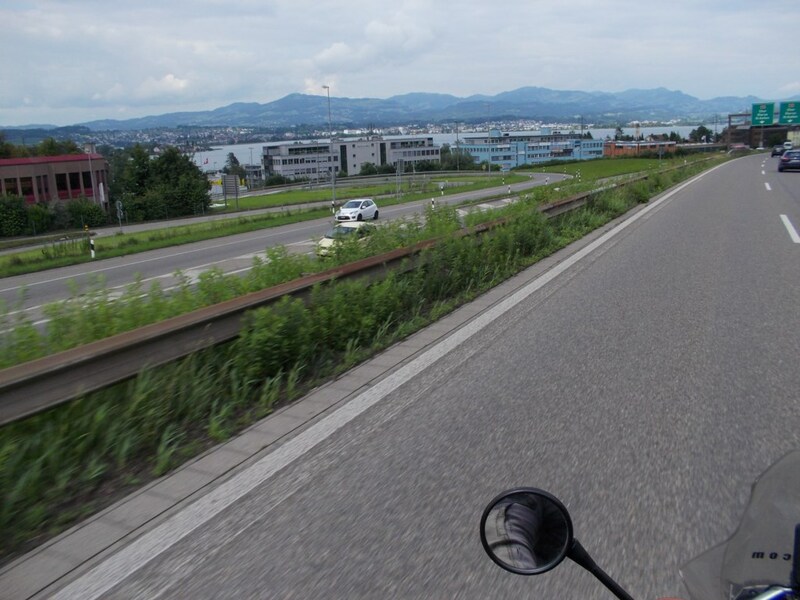 Riding along the German motorways or Autobahn was fantastic. No speed limit for sections and cars flying past at 200km/h. 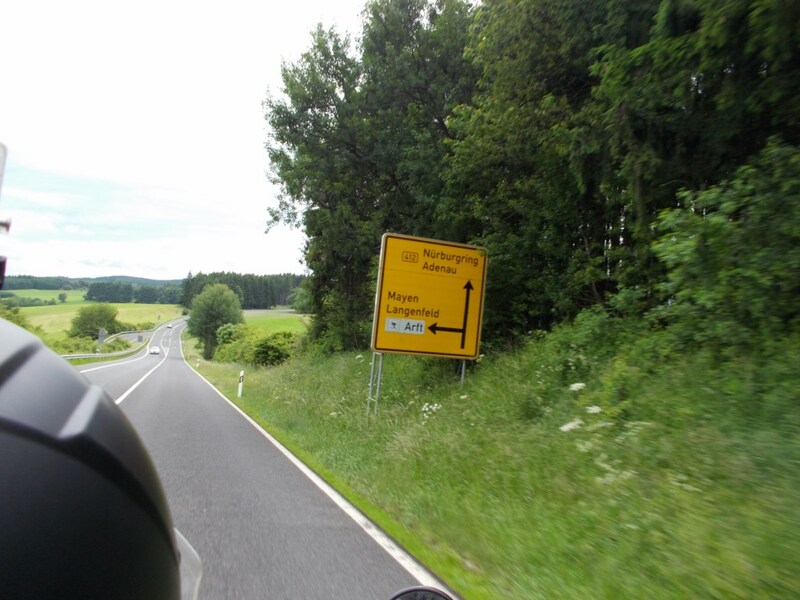 After a while I spotted the sign and one must see place for me… The Nurburgring! 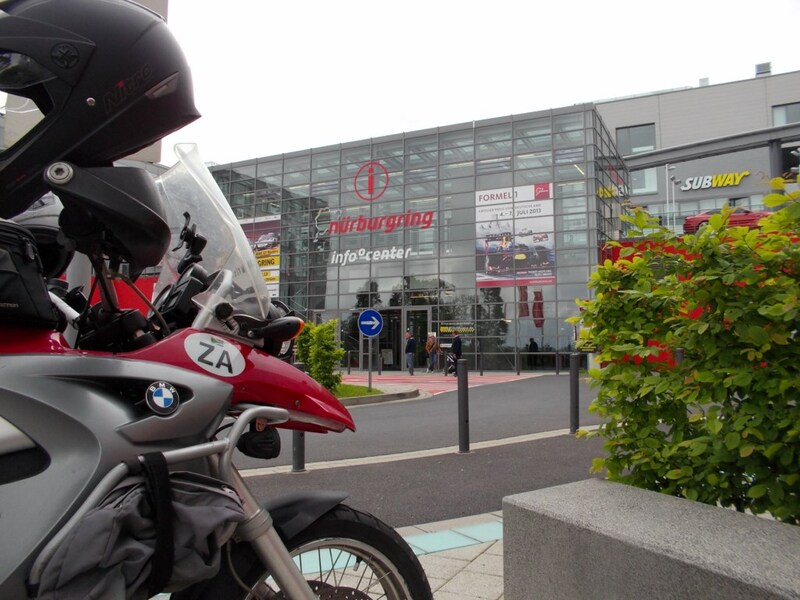 We stopped at the world-famous Nurburgring and met up with a Swiss couple also touring Europe. Heiri and Sibylle joined us for coffee as we waited for the track to open. Heiri bought us some tickets (thanks Heiri) and we set off riding the The Ring with various other bikes and tuned cars. Its a scary track with many blind corners and a cars speeding fast you at breakneck speeds. We managed to get around in one piece. 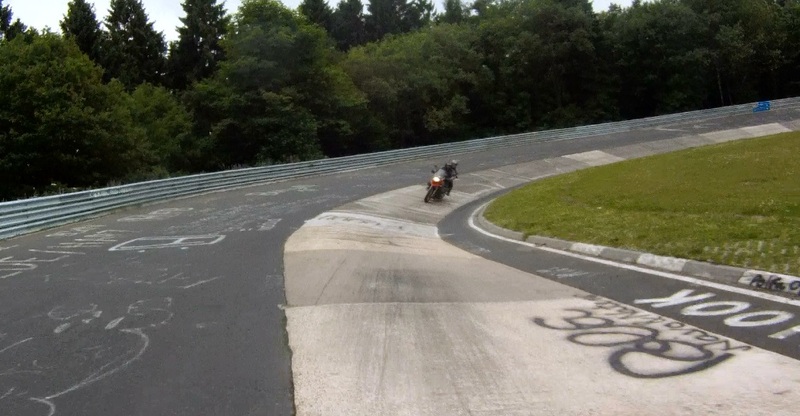 I managed to get the whole lap from my helmet cam and from Heiri’s bike. So stay tuned for the video! Like always we said goodbye to our new friends and headed south. 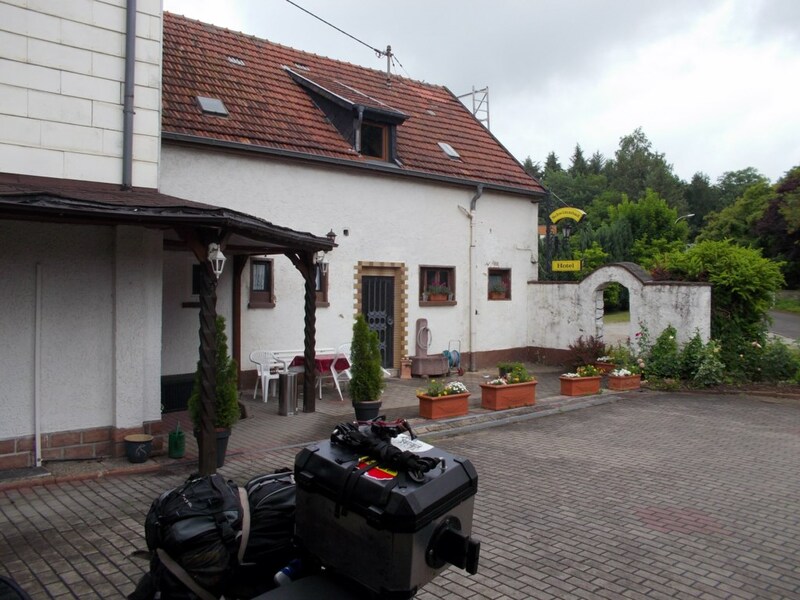 We stopped in the small town of Lebach and found a small hotel and called it a day. The next morning we set the destination for Innsbruck, Austria. He had a long day ahead of us. 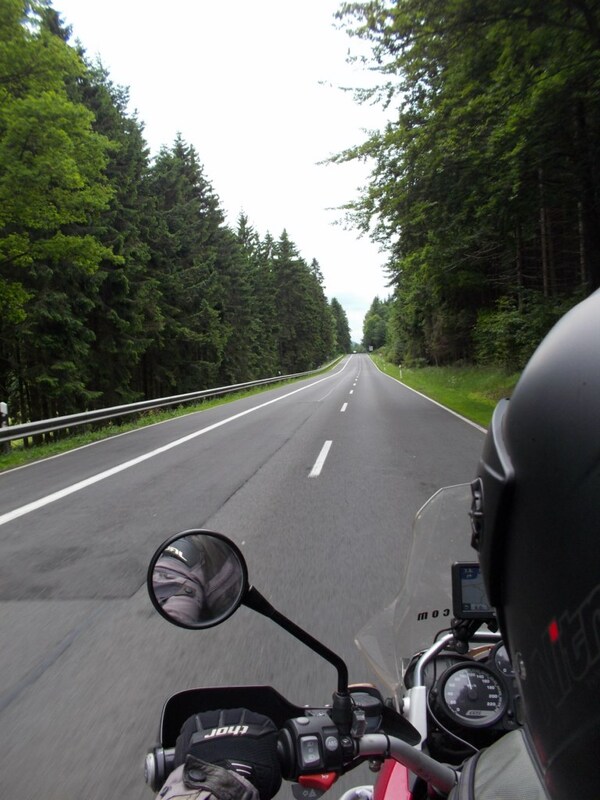 The German countryside is awesome as you ride through thick forest’s and over lush green countryside. 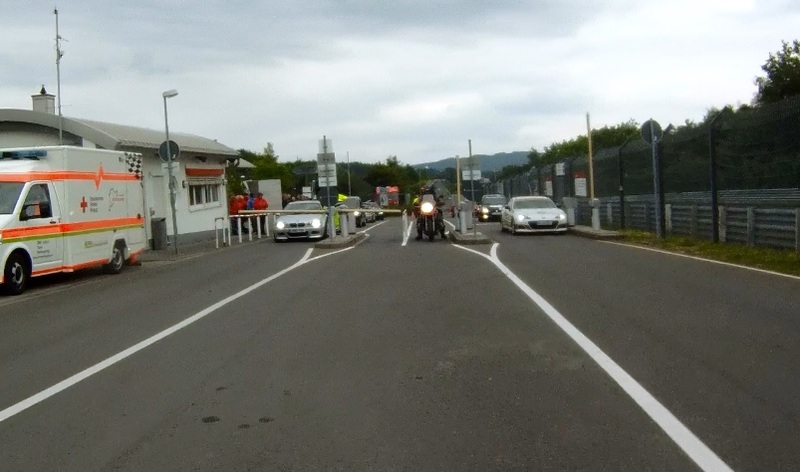 Soon enough we were entering Switzerland and turning east towards Austria. 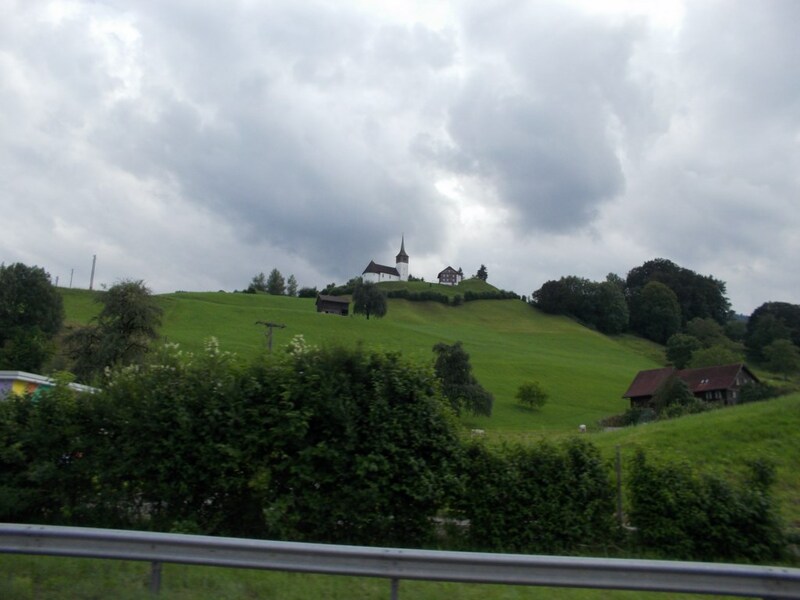 Scatered along the road are small churches and castles on the hill tops. 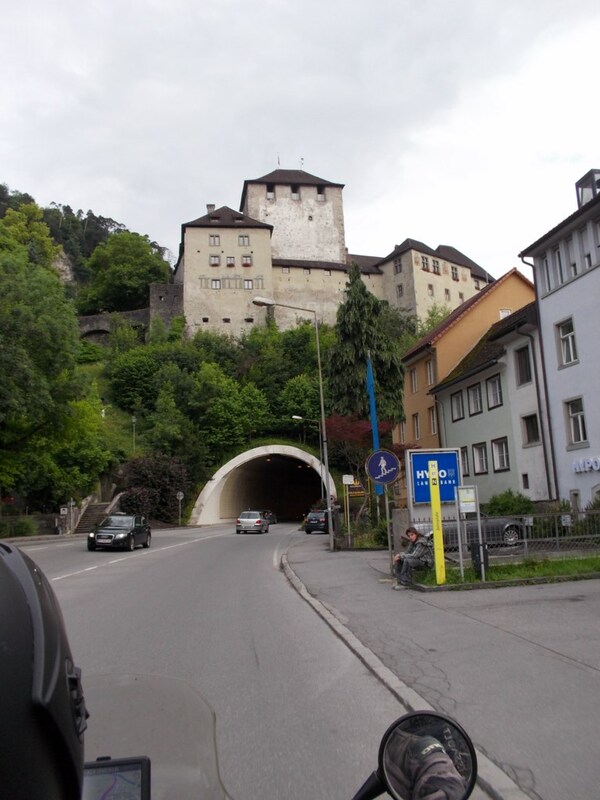 We also made a turn towards Lichtenstein, we drove through it. That lasted about 10min. Before we knew it we were in Austria and start of the millions of tunnels you had to ride through. One measured at 16km. 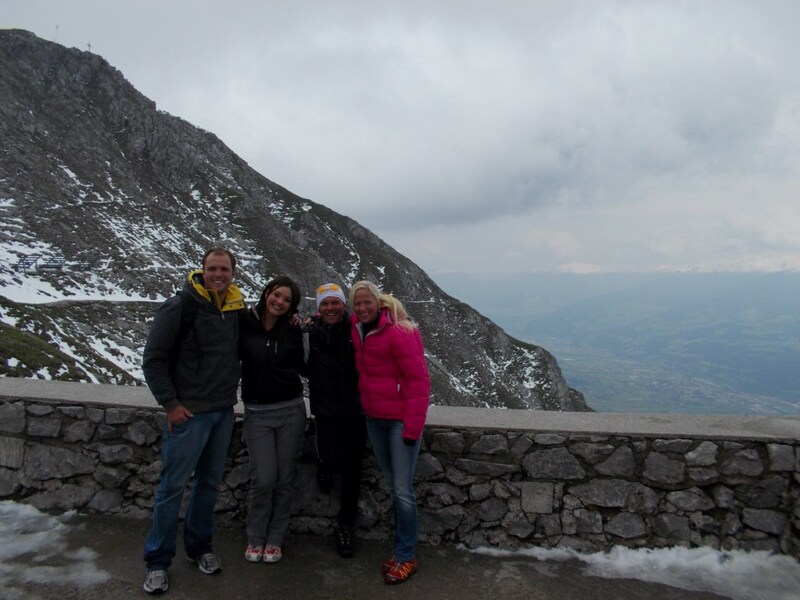 We met up with Daniel and Ulli our hosts in Innsbruck. We met them 6 months ago in Coffee Bay in South Africa while they were travelling through South Africa. 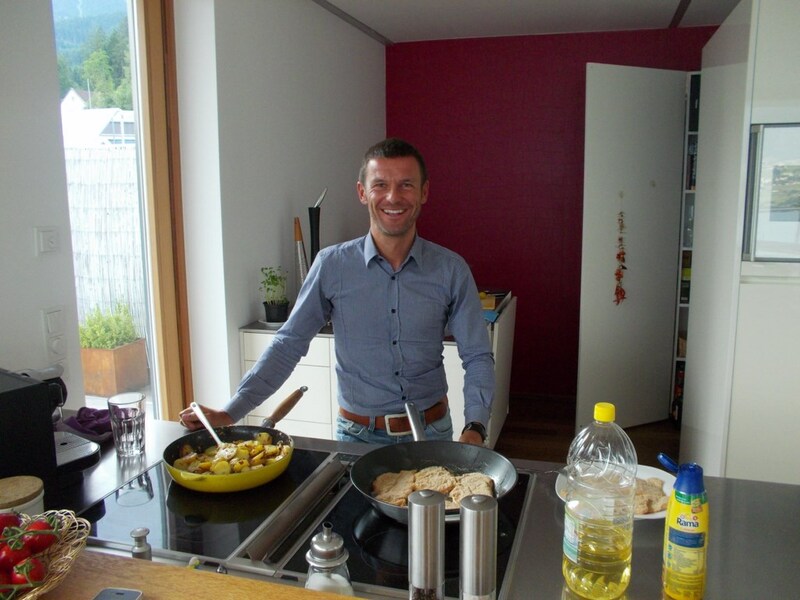 We had dinner one night and they invited us to their home in Austria. At the time it sounded like a fairytale. 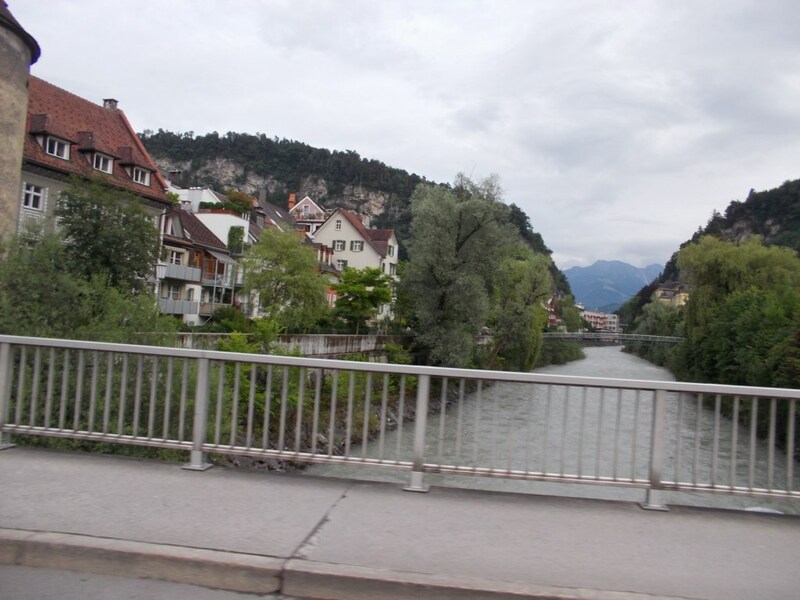 “When you come to Austria come and stay with us”… Now it was a reality! Over the last few days we have been treated to the best food I have had on the trip. They are excellent cooks and they have made our stay so comfortable. But so has our experience been from all over Europe. From Harmut, Petra and Peter in Portugal to Manuel and the Spaniards in Spain, Reinhardt and Retha in London, Geert and Isabelle in Belguim and Daniel and Ulli in Austria. It has made me realise that I have been to closed to the idea of welcoming strangers into my home and showing them my or our life in SA. 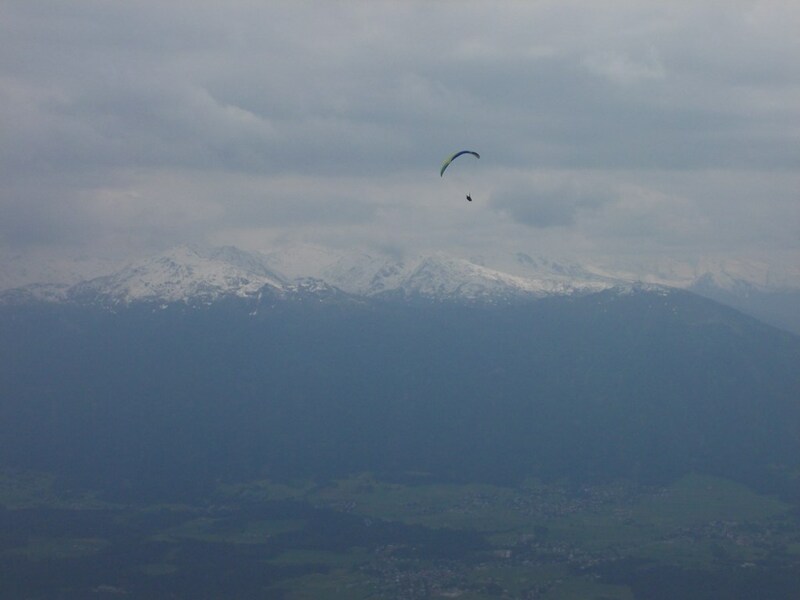 So after a great reunion we were of the next couple of days to explore the mountainous region of Innsbruck. 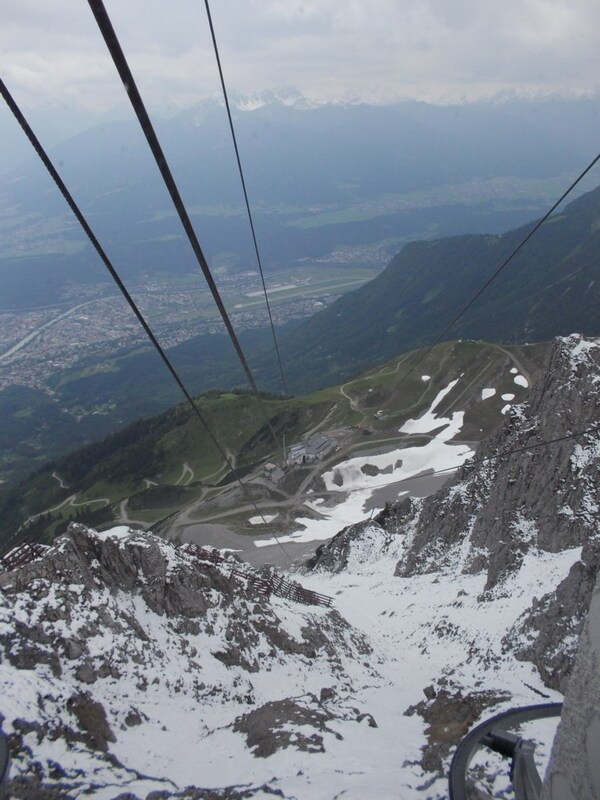 On top of the mountain via cable car. Daniel and I went for a walk! Ulli was also so kind to borrow us her car for a day trip to Munich. What a pleasure to listen to music and have a chat in the car! 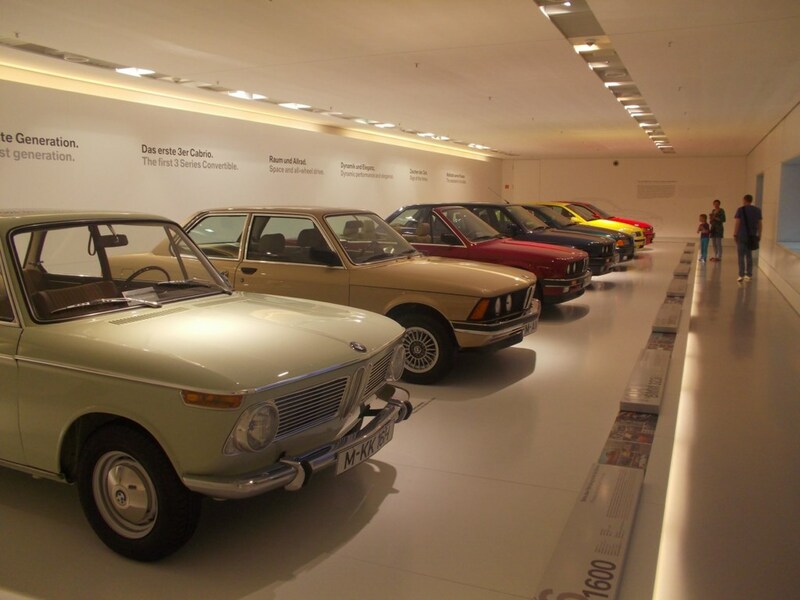 In Munich we visited BMW world and Hofbrauhaus. 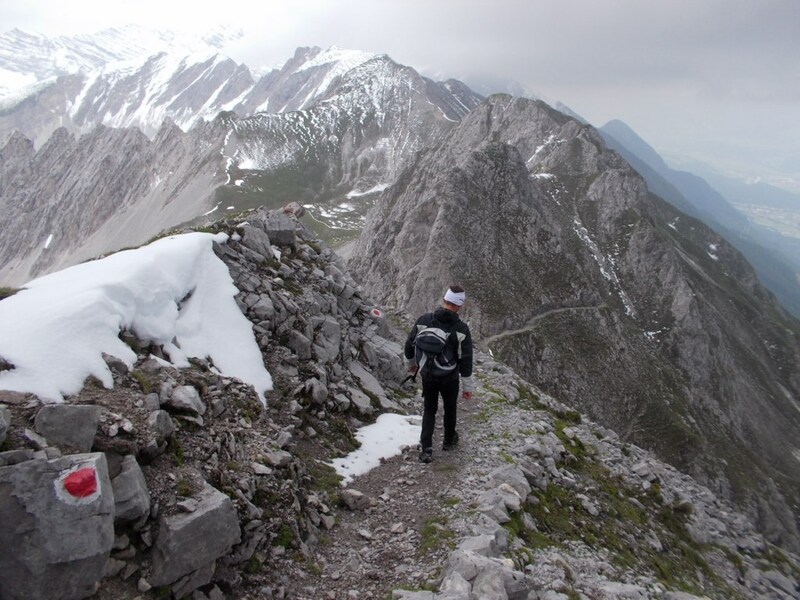 All and all a fantastic time in Austria and its easy to say that this part of the world in the alps have become my favourite place in the world… other than the open plain’s of Africa and the Sahara. With Deidre leaving in less than a week, its sad to think that the 5 weeks together is almost finished, but I am also looking forward to getting back on my continent and riding the last leg of my unforgettable journey. But first Italy and some Pizza. A special thanks to Manuel and Ana for organising that all my gear is sent via fedex to Italy. Also to my unknown friend Federico for receiving it for me. So I know the blog are slow but I promise when I am back on African soil they will roll again with the frequency it should! Have a good weekend and keep our Madiba in your prayers. 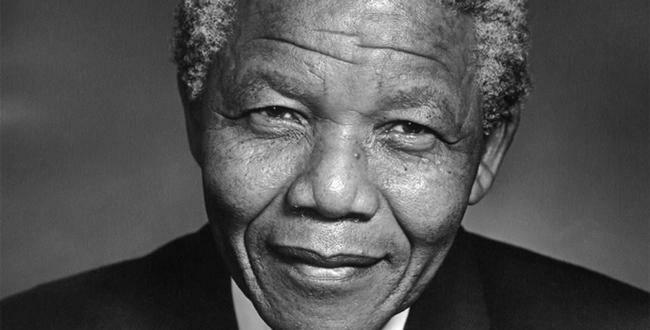 It is a tough time for SA as we dread that this might be the last few days of our Tata and the coolest guy in the world! See you guys in Italy! 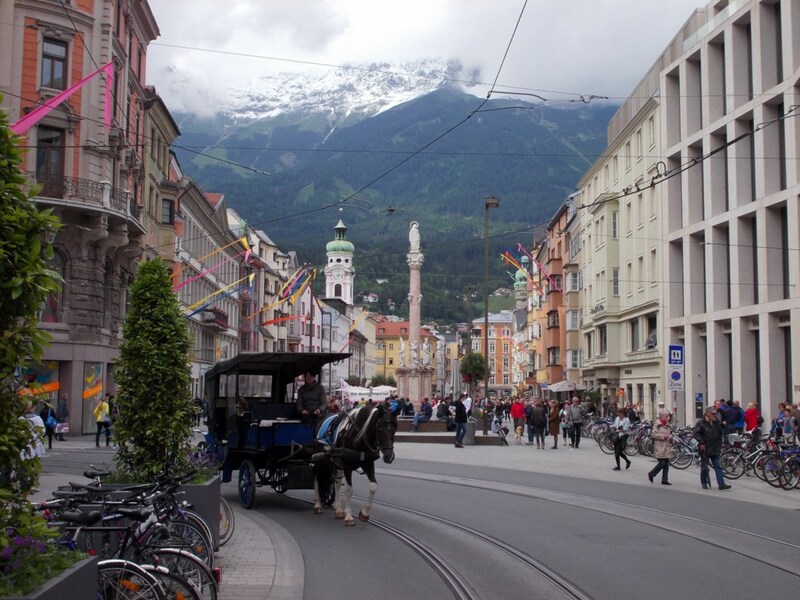 Guten Abend Herr Riaan…..just love the photos of the snow- touched mountains in Innsbruck!! Enjoy the last week of the trip in Venice and Italy sip by sip and not GULP by GULP!!!! Love you both. 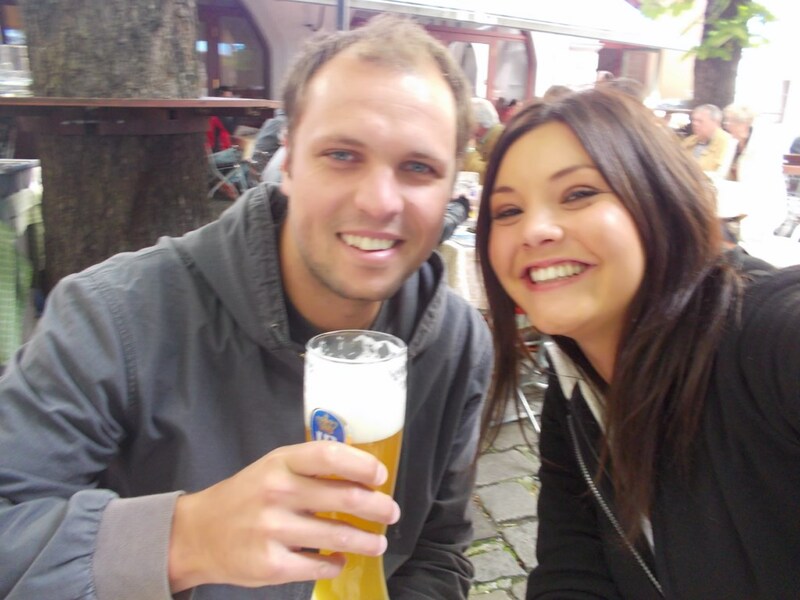 Hi Deidre and Riaan, After reading all your blogs the golden thread of the success of a long tour as you are doing is the ability to communicate with people, with no exception, is clearly noticeable. That you have made so many friends around the world and not just like minded bikers speaks volumes on your characters, so well done on that!! 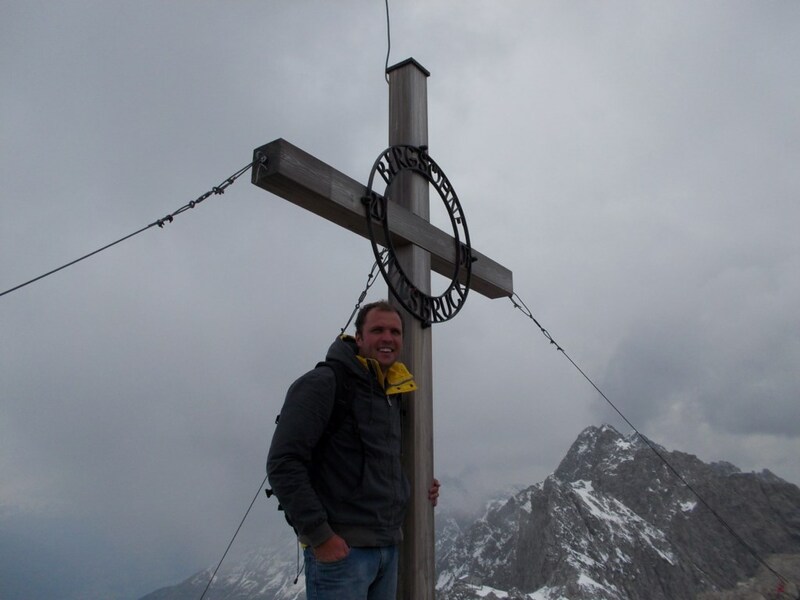 thank you once again for an enjoyable report, safe travelling through the Alps, until the next blog Erich. PS I include Aussies as well?